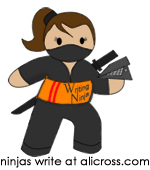 Before I start, I have a post about No-Holds-Barred writing up over at the Dojo today. Swing by to check it out! Confession: I’m an opinionated reader. I start a lot of books with high expectations because of back-cover copy or rave reviews, then I’m easily disappointed, because the style doesn’t match up with the atmosphere or the fictional world as I see it. Or sometimes the writing just isn’t up to what I want it to be. I can feel how much better a book could be, but when I dive in I find it to be somewhat half-baked. 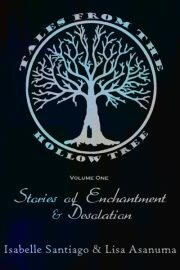 Up until a while ago, I had been putting all my reviews, both good and bad, up on Goodreads. I felt like it was my own private corner to both praise books to the sky and say it like it is when I found fault. The closer I get to the writing world in a professional way, though, the more I see that I just don’t want to release my negativism out into the world like that anymore. I’m all for an honest review, but I’m not always the best at giving objective reviews, and I have to deal with that part of myself in a professional way. 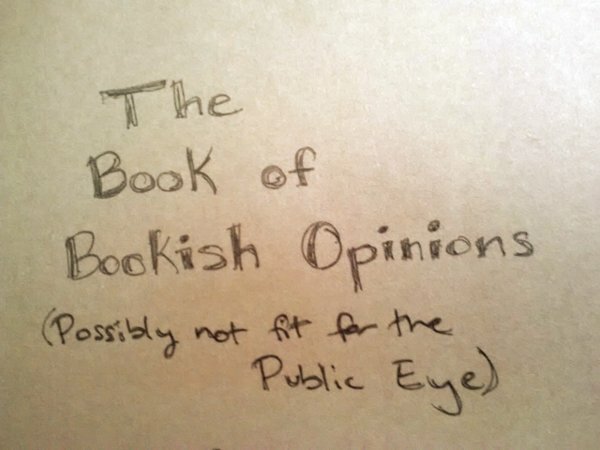 And so, I’ve created The Book of Bookish Opinions, and have started to backlog all of my Goodreads reviews in it. Yes, by hand. It’s been fun to re-experience some of these books in a detached sort of way, and to see how my reactions to some things have changed over time (or haven’t!). As I’ve gone, I’ve been taking down the mostly negative reviews, because really, you don’t need to hear my opinion on something that someone worked very hard on. You can read other people’s probably better balanced reviews instead. I don’t want to hurt feelings, and if I ever do gain any sort of clout in this community, I don’t want to be known for stepping on others’ work or discouraging reading anything. I’m keeping up my enthusiastically positive reviews, though. Because they’re much nicer. Also more numerous, thankfully! In Translation: The Devil, as Always, is in the Details. Recently (or not recently at all, really, if we’re being honest, or you look at my Goodreads) I’ve taken it upon myself to read through all of Dostoevsky. All of him. Everything I can find that he wrote. Or, all his fiction, at least, as I don’t really know if he wrote essays or anything like that. A little background: I took a course in college about Dostoevsky, mainly because I had read Crime and Punishment in high school and loved it. LOVED it. C&P is one of my all-time favorite novels. For so many reasons. None of them being that the main character is sympathetic. Which is another reason I love that book—because he really, really isn’t. I decided also, to start on what was to me, the least enticing of his novels. The Idiot. Actually, I was very curious about The Idiot because of a little fad I like to follow in my classic reading. I like reading novels about characters that the novelist themself has deemed as remarkably good. For example, Anne Elliot in Persuasion, or Mary Garth in Middlemarch, another monolithic tomb I love. So I set out on The Idiot. But I did so when I couldn’t get my hands on a physical copy, and at the same time, was experimenting with the Kindle app on my phone. Needless to say, my progress was slow-going. Dostoevsky is hard enough to swallow when it’s on a few hundred pages, not to mention 12,000+ tiny screens pages. Even if the quality of the writing is the same (my example of this is 13 Little Blue Envelopes, also read half on my phone, half in real book form). In this case, though, the quality of the writing was not the same. Dostoevsky is Dostoevsky, right? Wrong. I had come to the conclusion in that class that each translator offered a somewhat different portrayal… but often they were just as rich in different ways. 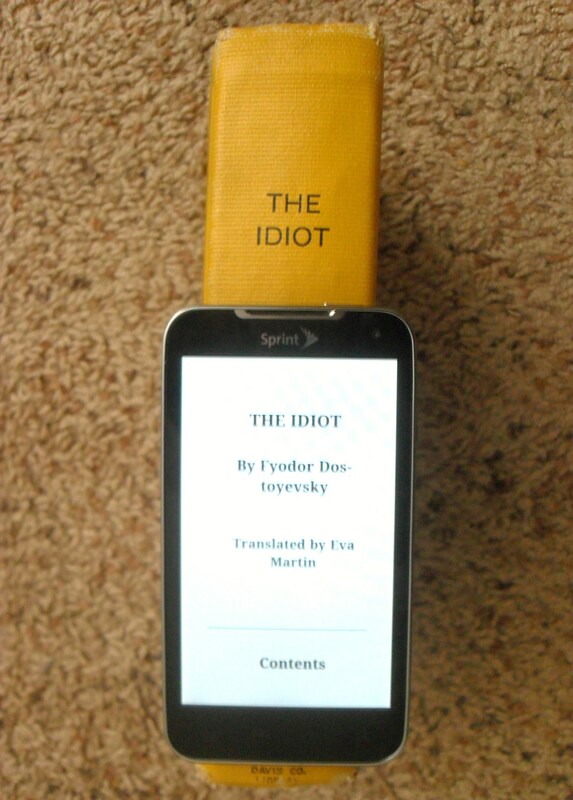 This experience with The Idiot, however, did not match up, and it’s all down to the fact that when I went to Kindle to test the book out, I naturally tried the free edition. Dostoevsky’s not around to collect a royalty check, so I didn’t feel too bad about it. I picked the book up and put it down a lot, then put it down for a long time when I didn’t really have enough space for the Kindle app on my phone, then checked the book out from the library, and tried to go back to swapping back and forth between the two. It would not do. And I’ll tell you why. Nina Alexandrovna looked about fifty, with a thin and sunken face and dark rings under her eyes. She looked in delicate health and somewhat melancholy, but her face and expression were rather pleasing. At first word one could see that she was of an earnest disposition and had genuine dignity. In spite of her melancholy air one felt that she had a firmness and even determination. She was very modestly dressed in some dark colour in an elderly style, but her manner, her conversation, all her ways betrayed that she was a woman who had seen better days. Not only is the first excerpt more concise, it has a lot more in the way of aesthetics to it. When I went from reading the passage in the Garnett version to reading the Martin translation, and I was surprised by how much the Martin didn’t measure up. So if you’re reading something in translation, don’t just pick the first copy you find. Sit down for a minute and browse… make sure the translation you get is the one you want. It will make for a nicer experience, and maybe stop you from prematurely thinking that some author who wrote in another language had no idea what they were doing. *I also took a class on Hungarians, but didn’t check out Hungarian stuff from the library because let’s face it, there wasn’t many options to choose from (Read: that was the only translation there ever had been, or probably would ever be). The F Words. Fear. Of. Finishing. I worry sometimes that I am afflicted with the F words. Not that one you’re thinking of. These: Fear of Finishing. This is a first-timer’s fear, I know. Because this first time is, while maybe not the hardest (how would I know? ), HARD. Because I’ve spent my whole life, just about, thinking about getting published and how I probably have the stuff to make it if I work at it. As writers, though, even when we have a story that we love and something that we would like to share with the world, sometimes the prospect of telling a story right is (or SEEMS) inhibiting. What if we get it wrong? The fact of the matter is, when it comes to writing an original story, we’re the only ones who have any chance of getting it RIGHT. This seems kind of silly to say, but it’s true. It’s YOUR story. 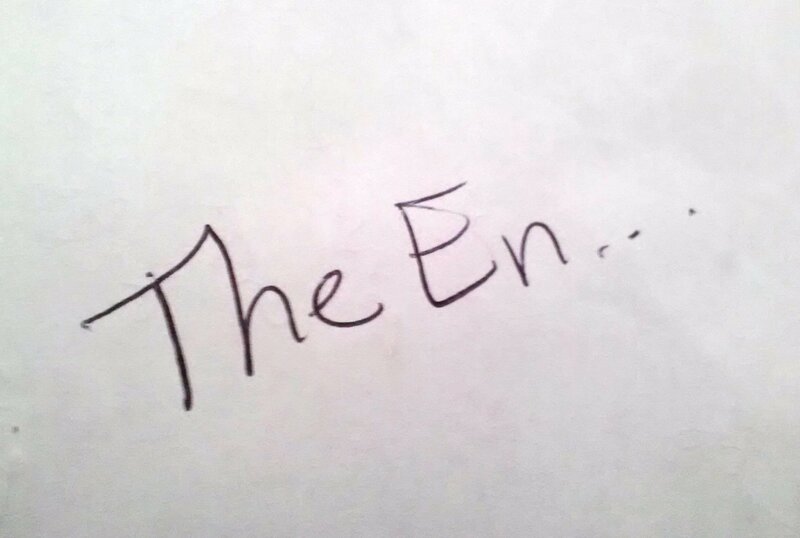 YOU have to write it. Or it won’t get written. Simple as that. So when it comes to the Fear Of Finishing… kick it. Out. Don’t even let it sink in. This is something I’ve struggled with, sure, and probably most writers have at some point. But the professionals get it done, no matter what. And that’s my goal in this plan over all, isn’t it? To become a professional? You bet your petutti it is. How do you spell petutti anyhow? P.S. See that photo up there? That was scribbled and taken in haste by yours truly. Following the recent blogger-gets-sued train of thought… that we probably should have all been doing in the first place… over the next few weeks I’m going to attempt to swap photos I’ve used with less-than-clear permission and find some Creative Commons License stuff or take my own pics. It’s about time, Lisa. It’s about time, blogosphere.